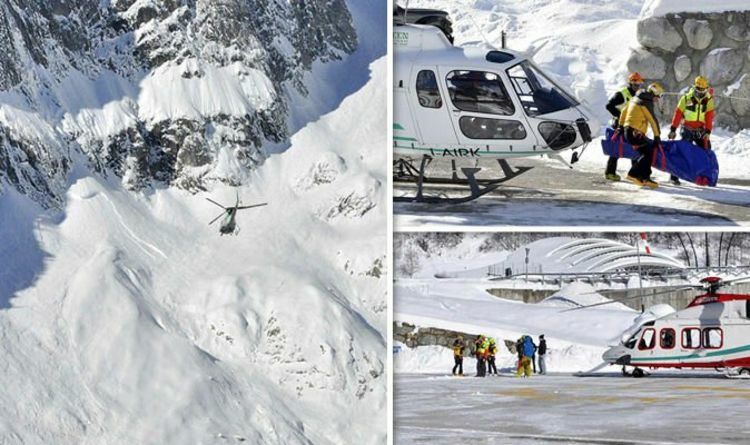 According to local media, the bodies of three people have been found following an avalanche on Sunday in Valle d'Aosta, which is near the Courmayeur ski resort. Four people, including British and French holidaymakers, were reported missing following the natural phenomenon. The Foreign Office said on Monday it is assisting the family of a missing British man. The bodies of three of the four missing were discovered under two metres of snow. A rescue mission is underway to try and find the fourth person. Alpine relief service in Valle d'Aosta, the alpine rescue service of the finance guard, and the dog protection unit and helicopter of the Civil Defence are all taking part in the search. The search began yesterday but was abandoned overnight. The three bodies were found this morning. The risk of avalanches in the region was marked as high by the authorities over the weekend. On Sunday two Italian skiers, including one in the Valle d'Aosta region, were killed by avalanches. In total, at least 10 people have been killed in avalanches in the Alps over the weekend. Daniel Loots, the Ski Club of Great Britain's communications manager, said skiers should be careful to stay on piste when the risk of avalanches is high. He also warned skiers and snowboarders to check weather conditions and avalanche bulletins before heading out on the slopes, adding: "The recent heavy snowfall across Europe means that there are quite unstable conditions at present. "When skiing off piste you should always carry an avalanche transceiver, probe and metal shovel, all of which you should be familiar with using. "If you are involved in an avalanche the first thing you should do is alert ski patrol or mountain rescue, either by saving the local services number in your phone before you go, or dialling 112 in Europe."